We participate in the blogger review for Chewy.com and while we get the treats for free, our opinions are always our own. 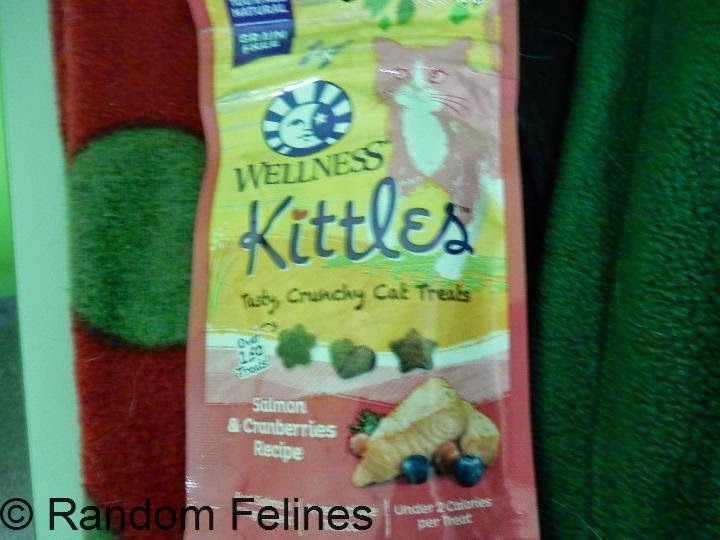 This time we got a bag of Salmon and Cranberries Kittles by Wellness. Mom said we have had enough treats (HEY!!!) so she decided to do something different and took the bag with her last week to the shelter and asked for the kitties there to help her with the review. Tiger thought they were pretty nommy. 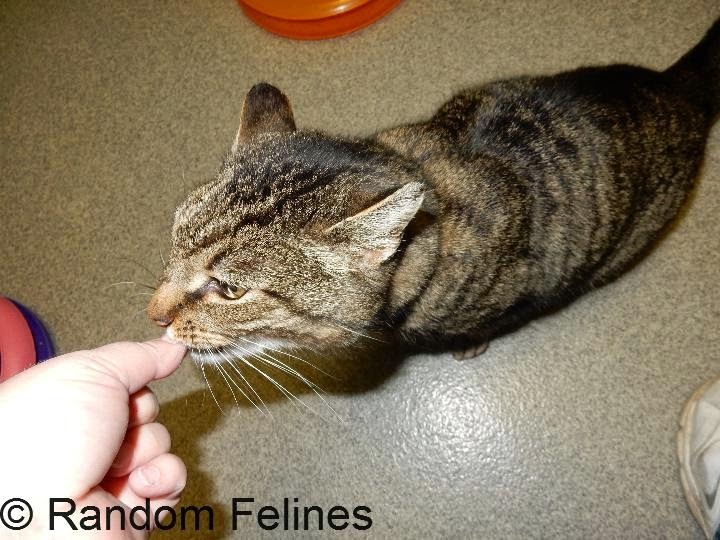 Tiger is a 4 year old male who is pretty new to the shelter. Mom loves those big headed boys and he is one of them. Super sweet - though when he is in his cage he puts up a protest until someone lets him out. He was pretty gentle about taking the treats from mom. This is Bermuda. She was a fan of the treats as well. 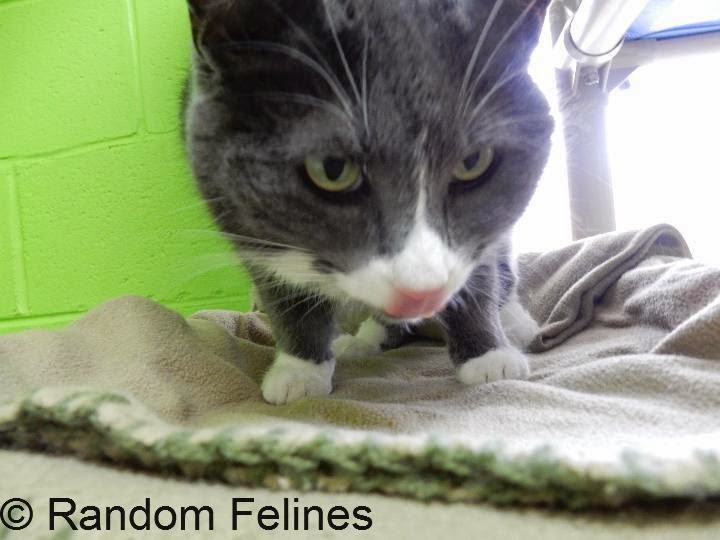 This lovely 4 year old girl was found by a good samaritan and is looking for a quiet home of her own. She got a break from the shelter in a foster home for a couple of weeks and her foster mom says she is super sweet and even slept in the bed. We're so sorry for Jax - we hope he will soon get a new furever home with nice humans..
Jax, Bermuda and Moses will find homes soon, I'm sure of it! 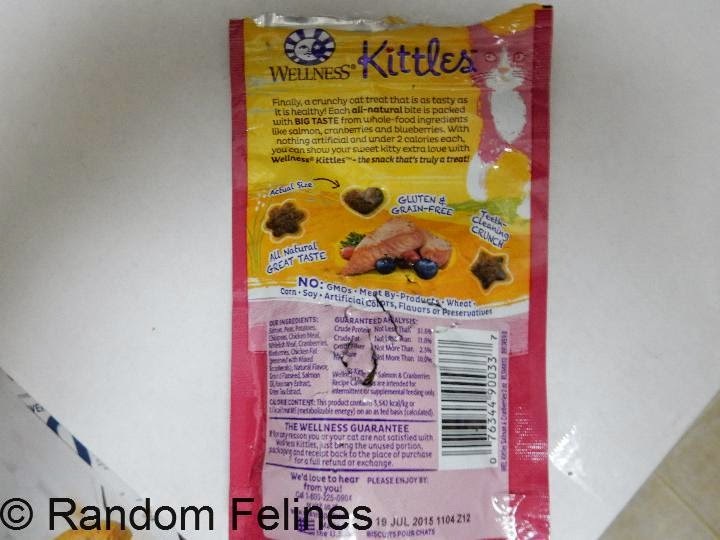 Unfortunately, we don't give our kitties treats because of Chuck's intestinal problems, but these Wellness one's look fab! Happy St. Patrick's! So many cats are returned because the new man/woman in the owner's life doesn't care for them. If my girlfriend didn't like my cats, I'd return the girlfriend. ...and a thump on the head to Jax' former owner! Jax would probably be around a lot longer than the new girlfriend will. Oh we agree! Girlfriends come and go, but a cat is forever! It looks like those treats were a hit! 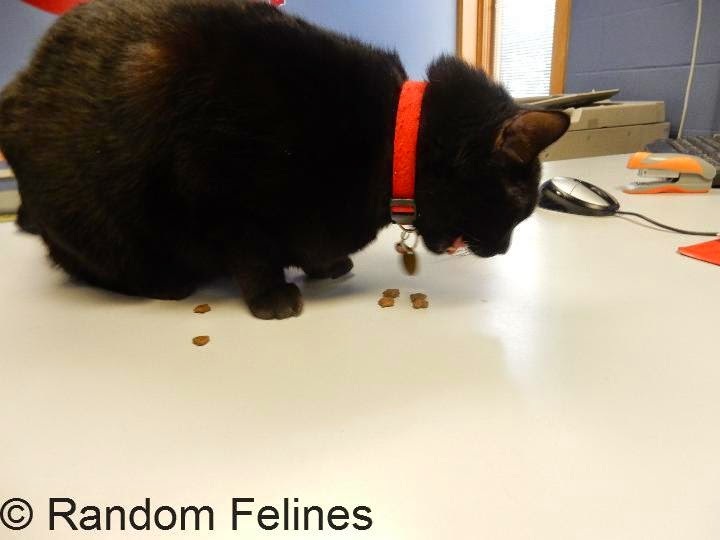 What a wonderful idea to share the treats with the shelter kitties. Those look GREAT! 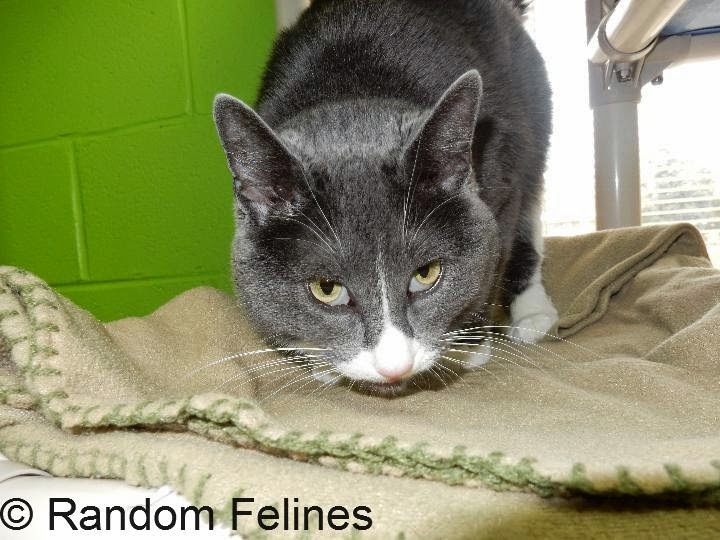 And what a wonderful idea to have the kit-cats at the shelter help with your review! PS: That really stinks about Jax!!! What is WRONG with people!? Don't answer that. 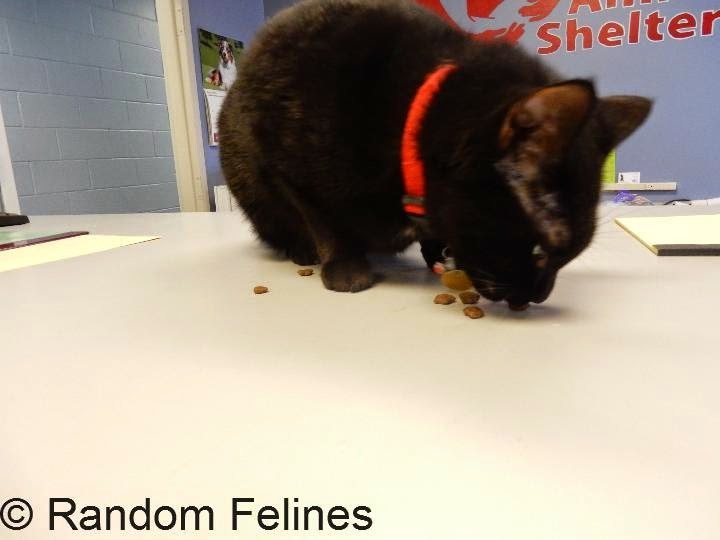 That was nice that the shelter kitties got to try the treats. 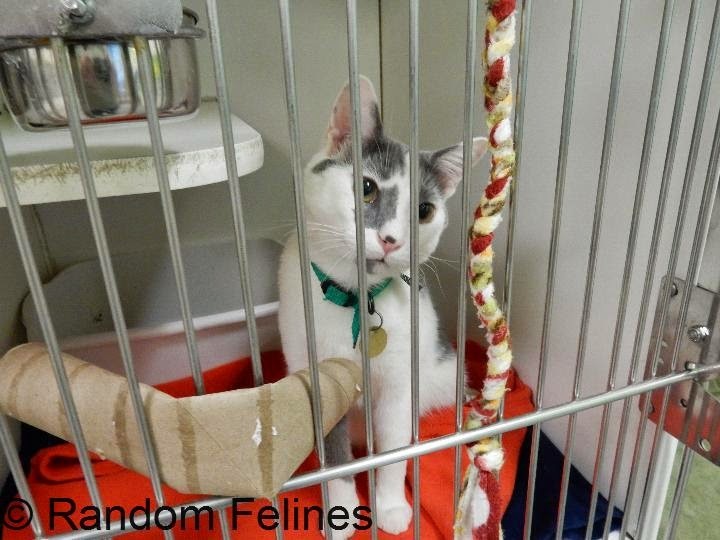 Those shelter kitties did a great review. We purr that they all find homes soon. 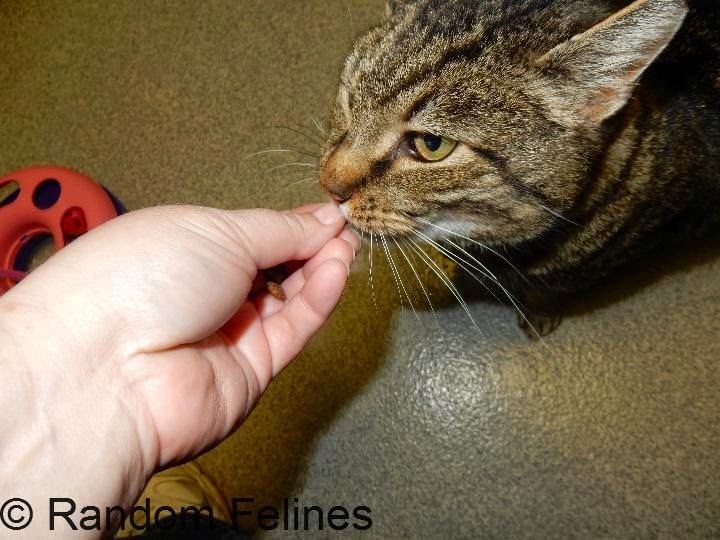 That was a great review, and how nice of you to let the shelter kitties do the honors! Purring and praying these beauties all find their forever loving homes real soon. Happy St. Patrick's Day...or should we say St. Gertrude's Day? She is the patron saint of cats.